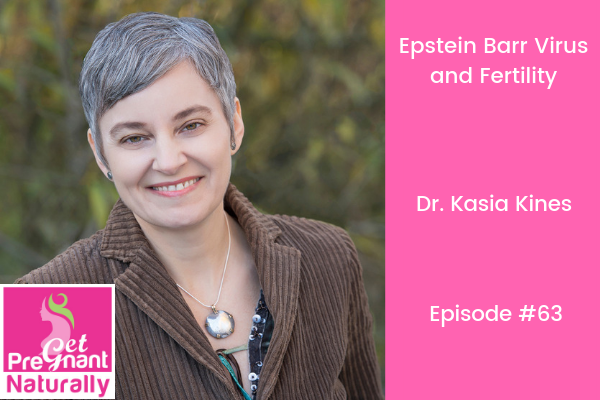 We’re digging into Epstein Barr Virus (EBV) and fertility. Dr. Kasia Kines is a Doctor of Clinical Nutrition, the CEO of Holistic Nutrition Naturally and EBV Educational Institute. She is a Board-Certified Nutrition Specialist, Certified Nutritionist licensed by the Washington State, with two Master’s degrees, including a Master’s in Clinical Nutrition form the prestigious Bastyr University. She is the author of the amazon best-selling book The Epstein-Barr Virus Solution. Dr. Kines has been in clinical practice since 2005, providing individualized support to nearly 2,000 clients with complicated health issues, with EBV now being her main focus. Her virtual practice serves clients nationally and globally. When I first read the #1 New York Times bestselling book by Anthony William – Medical Medium – I was blown away. That’s when I first learned that the Epstein Barr Virus could be the root cause of some of our more serious diseases. I wanted to bring on an Epstein Barr Virus (EBV) expert to discuss the possible link to infertility. 2) Most of us know someone who had mono – also known as the kissing disease, which usually lasts 6 weeks. But what if it becomes chronic activated EBV? What if we didn’t have mono are we still at risk for EBV? 4) How do we heal from EBV? We discuss diet, supplements, testing and how to manage stress ).